Potato is the most common food item across the world but here we will talk about the beauty benefits of potatoes or I should say some potato face packs. Potatoes have the properties to lighten the darkness and due to this very feature, it is used to lighten the complexion, remove dark circles, fade away the dark spots and pimple marks from the face and also to get rid of the elbow and neck darkness. Here, are several ways potatoes are helpful for enhancing the beauty of the skin. Read on to know about some homemade potato face masks and packs that you can try making at home. 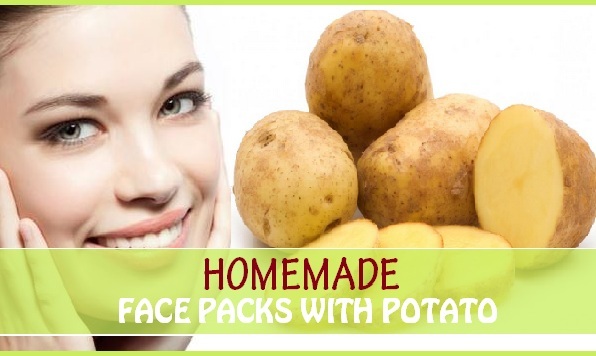 These potato face packs will help to make the skin clear and smoother. Potatoes are good for skin lightening and this is mentioned in the Ayurveda as well. These vegetable has the power to remove the darkness of the skin like the scars, marks etc. Rubbing potato juice on the skin will help improving the shallow complexion and lifeless dull skin. Potato will also lighten the skin scars over the time and give faster results. It will treat the pimples marks which are due to acne. If you want fairness then coconut milk with potato juice can be your ideal choice to get that. Coconut milk is a gentle thing that will get rid of the spots, patchy skin, marks etc by increases the regeneration of cells with in few days. Potato too is effective to do the same. Hence, this quick tip will cure all the skin related problem. Take 2 teaspoonful of coconut milk and add same amount of potato juice. Clean the face and use this herbal concoction to massage the face gently. After massaging for 2- 3 minutes, leave it like a pack and let it try. Rinse it off with normal water. This potato pack treatment should be done 2-3 times in a week to notice good results. If itching or redness gets more then stop using this. 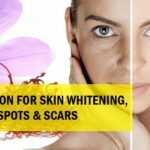 Honey is also a brilliant skin lightening agent that can effectively get rid of the dark spots and provides skin whitening as well. Honey is safe to be used for all the skin types, even the acne prone oily skin. Strawberries on the other hand are considered as a whitening agent, this is why they are used in skin whitening products. You will be amazed to know that this paste here, will lighten complexion and dark spots but will also give freedom from dark circles. Application should be though done daily or that. Put some small pieces of strawberry and potato in a blender and make a pulpy paste. Add 2 teaspoonful of honey and mix these well using a clean spoon. Apply this on the face and allowing it to get dry for 10-15 minutes. After that, wash off to notice a clearer, brighter complexion. Tomato juice has lycopene which extremely helps in fading the marks. Potato juice on the other hand, too has the capacity to lighten the darkness. Take 2 teaspoonful of potato juice and mix that with 2 teaspoonful of tomato. Mix both the juices and dab on the acne marks and dark spots. Keep it overnight and for better and fast results use this daily at least once in a day. Wash in the morning. Mild itching and redness is normal with potato. If itching gets too much that means this ingredient does not suit you. You can discontinue using this remedy or just add 1 teaspoonful of honey or glycerin to it to make it more subtle. 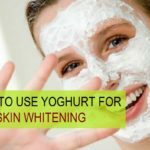 This combination is quite a powerful combo that can certainly help in achieving a lighter skin complexion with just few days. At least a couple of tones lighter. 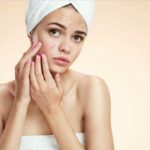 This remedy can be tried around 3-4 times a week and should be done with care the first time if your skin happens to be sensitive. This is because sensitive skin can get red with lemon, tomato and potato extracts. Add 3-4 drops of lime juice and ¼ teaspoonful of milk powder. The potato juice in the grated potato pulp will be enough to mix all the three ingredients thoroughly. Apply this pack on the clean face and neck and leave it to get dried fully. Once it does, remove with water by rinsing it off. Potato and cucumber juice are both potential dark circle lighteners. 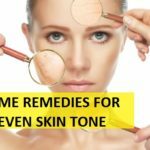 Yes, dark circles under the eyes can make you look older so, potato packs and remedies can effectively help in achieving brighter under eye area. This remedy also has cucumber which is also aids in lightening of the skin and in removing dark spots, marks etc. Mix some potato juice and cucumber juice. Apply everyday at night under the eyes and over the eyelids if they are dark too. This quick and easy remedy for dark circles will make the darkness vanish. Eyes will be brighter and more awake looking. 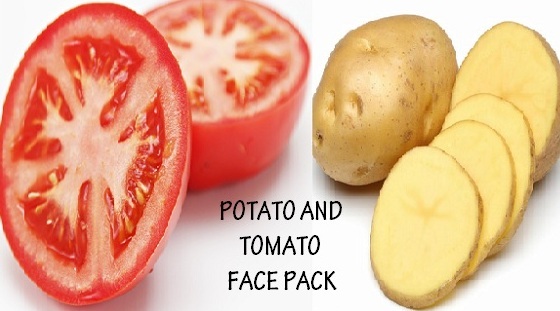 Potato face packs are wonderful but potatoes can make the skin red temporarily and itching is also experienced. Therefore, these are not suitable for sensitive skin for the face. Although its juice diluted with some rose water or cucumber juice can be used under the eyes or for the neck and elbows. While you apply potato juice make it a point that you do to at night or evening. It is because we should not go out in the direct sun light. Moreover, application of sunscreen is require else the dark spots can creep again. You can also mix some honey to dilute and make this more suitable for sensitive dry skin. 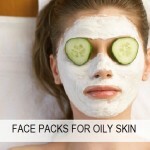 Also the Cucumber face packs are better for sensitive skin or dry skin. Do check out our latest video on how to get fair skin overnight in Hindi. and please subscribe to my channel friends. Hi,I have sensitive skin and also kind of oily pimple prone skin which is coming and leaving it’s scars…will you please suggest me what kind of face pack will be suitable in my skin tone for daily basis and also can I use cucumber potato juice for my dark circles over the night? You can try sandalwood with rose water face pack or turmeric and gram flour face pack for the sensitive skin. And for the dark circles, potato juice will work great. take a thin potato slice and rub on the dark circles and pimples marks at night. This is the easiest and most effective remedy. Hi! i just stumbled upon your bog and found interesting info.. also read a lot of remedies for detanning.. but i want to ask you.. i have very deep seated tan on my arms and feet that refuses to go away despite my best efforts with all the remedies mentioned above. they only seem to work on fresh tan. Is there any good powerful remedy i can use frequently to get rid of it? one recipe that works the best out of so many?? Thanks!! I know most of these remedies wok on the fresh tan. Let me tell you one remedy that helped me remove my tan that had been on my feet for years. I used bleach cream and it worked the best. I hope it helps you too. Just try once. Use it once in a week and soon it will be lightened then you can try the other remedies stated above. Hello ma’am myself Saurabhi am 18 yes old and m a clg gng stdnt.MY clg timing is 1pm and at that tym its very hot outside till I reach my clg my hands almost gets tanned to the fullest before my hands were fair, I tried using lemon juice bt no good rslt found plz suggest me some natural remedies which will give me a better rslt in a month or two plzzz and wht to do to control futhere tanning. Thank You…. You should use sunscreen daily as the darkening on the skin is due to sun’s UV rays. You can apply tomato juice everyday in the evening and wash after 1 hour. This will fade the tanning but do use sunscreen daily as this will prevent any further darkening of your skin. Try Lotus gel sunscreen with SPF 20. that is good.